In SoHo? Then you better go to Georgetown Cupcake! Customer Service: 5– Everyone who worked there was friendly and informative. I was able to speak to the GM quickly too. Everyone was up beat and willing to answer any questions. Atmosphere: 5– There was just enough room for people to sit. Three round table which had a view of Mercer Street. Of course today it was beautiful out so it was even more enjoyable. The music they played was great and definitely helped the atmosphere. Cupcake Quality: 5– I rarely ever give a 5, but I was really impressed. 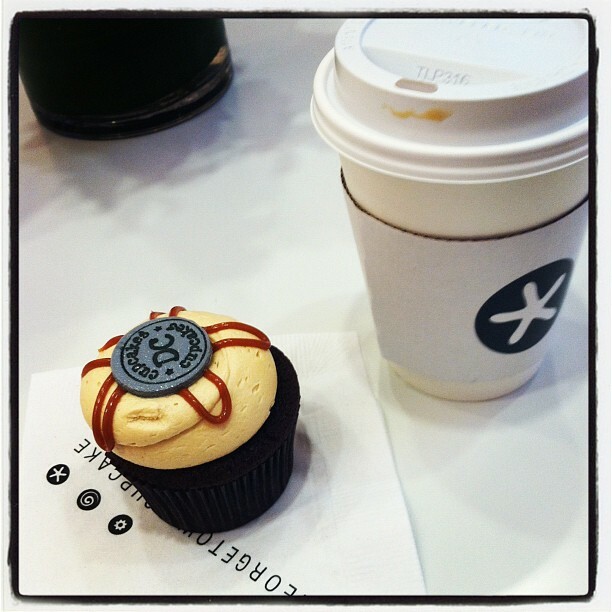 FYI Georgetown Cupcake is a new competitor in the corporate #CupcakeContest! I enjoyed the free cupcake of the day: Chocolate Salted Caramel with a coffee. It was delicious. It was decent sized and had just enough filling inside and the cake was great! I got a few to go as well. Price: $ — Now you’d expect a place like Georgetown Cupcake to be expensive since the founders and owner have their tv show– DC Cupcakes. 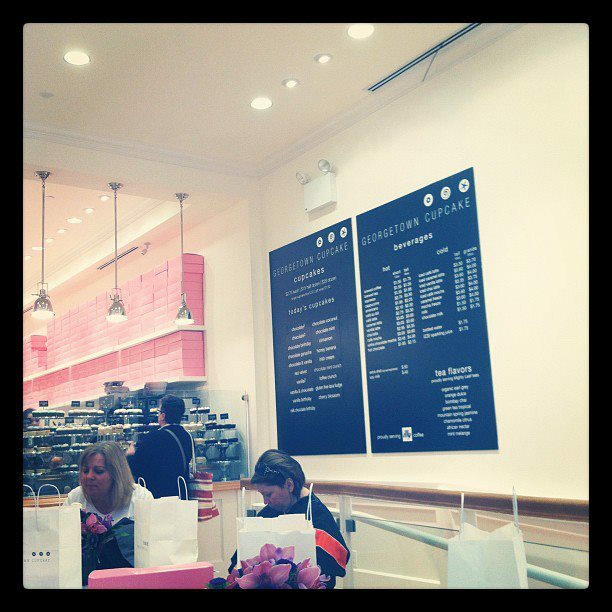 But no, each cupcake is sold for $2.75 which I think is decent compared to most places in the city. I’d definitely buy them for a holiday or party. Final Score: 15/15– As I mentioned earlier they are now in my corporate #CupcakeContest and giving Crumbs some competition. The price and taste can’t be beat and the service is top notch! 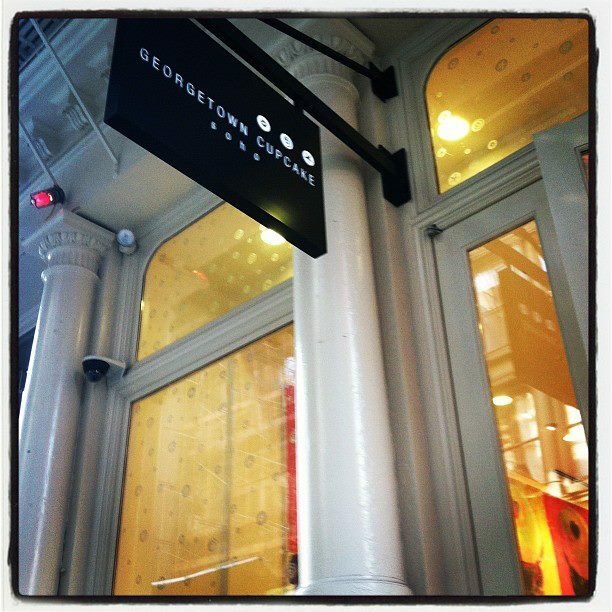 If you’re in SoHo you’re crazy if you don’t stop in. They have tons of flavor choices and I’m sure you’ll find a cupcake you like! I highly recommend it! Awesome Review! I’m also a huge cupcake fan! Can’t wait to go there!